UPTOCRYPTO is a registered company in Belize (registration number in progress), whose CEO is Cris Lusakivana, an expert specializing in crypto trading and specialized in this market. 2. Alerts and information via an application for those who wish to trade by themselves. 1. INFORMATION: UPTOCRYPTO simplifies access to crucial information and facilitates your decisions thanks to its application which has an alert function. 2. TIMING: Our experts analyze and monitor market prices 24/7. Our application and alert function will help you optimize the timing of your investment and your trading results. 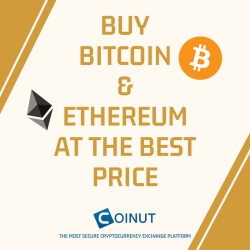 First, we aim to provide access to information through our application to simplify buying and selling decisions and educate our members to learn the skills and reasoning of a real trader. CHOICE N ° 1: INVESTMENT PACK = Our traders will increase your money. Yield 5 days / 7. This means you will only receive the daily trading bonus from Monday to Friday. Daily Trader Bonus : Average between 0.5% and 1% / day (this may be less or more depending on our daily results). Take advantage of our application and our information network to facilitate your purchase and sales orders and optimize your trading results. 1. Direct Affiliate - Receive 10% on all direct purchases of the day. 2. Binary Bonus - Receive 10% of the total of all purchases of the day on the weak side. Gain / withdrawal limit: $ 1000 / day. 3. 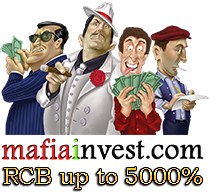 Residual Bonus - Each member can earn up to 5 times their investment. When your references invests $ 1000. When he earns $ 5,000 of earnings accumulated with the different sources of compensation, his pack will expire. Once he buys a new pack, you will earn your direct binary bonuses again. Daily binary cycle completed. Time is at 12:00 Paris time everyday.